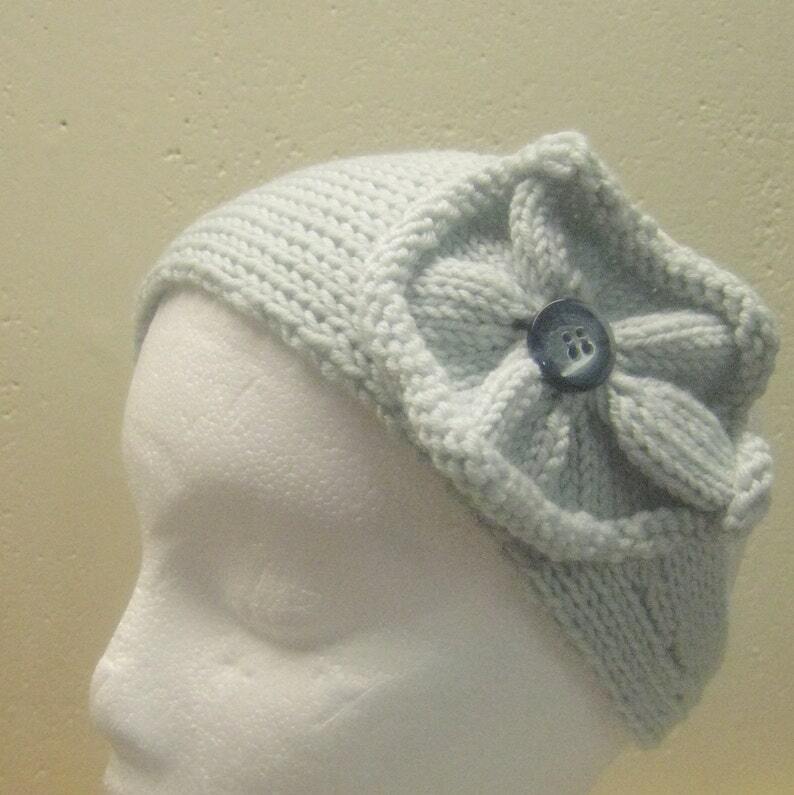 This pattern is my original design for a knitted head band. The pattern includes detailed instructions (4 pages) with instructions for two different flowers that can be attached. There are also instructions to make an optional bobble and French knots. This pattern is unique in the way the flowers are interchangeable and the way the increases and decreases are completed to be as nearly invisible as possible. There are instructions for customizing the length of the head band to your intended recipient. It is 4" wide at its widest point and attaches with a button and button loop. You may use DK weight, light worsted, or worsted weight yarn and can make a head band and a couple of flowers with less than 100 yards of yarn. The pattern is in PDF form on four pages with clear instructions. You will be able to download your pattern instantly after purchase.